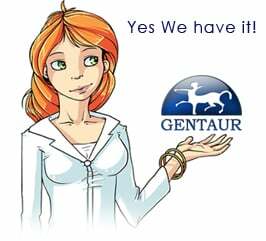 Gentaur antibody-antibodies.com The Marketplace for Antibodies : Structural elucidation of the N- and O-glycans of human apolipoprotein(a): role of o-glycans in conferring protease resistance. Structural elucidation of the N- and O-glycans of human apolipoprotein(a): role of o-glycans in conferring protease resistance. Apolipoprotein(a) (apo(a)) is a multikringle domain glycoprotein that exists covalently linked to apolipoprotein B100 of low density lipoprotein, to form the lipoprotein(a) (Lp(a)) particle, or as proteolytic fragments. Elevated plasma concentrations of apo(a) and its fragments may promote atherosclerosis, but the underlying mechanisms are incompletely understood. The factors influencing apo(a) proteolysis are also uncertain. Here we have used exoglycosidase digestion and mass spectrometry to sequence the Asn (N)-linked and Ser/Thr (O)-linked oligosaccharides of human apo(a). We also assessed the potential role of apo(a) O-glycans in protecting thermolysin-sensitive regions of the polypeptide. Apo(a) contained two major N-glycans that accounted for 17% of the total oligosaccharide structures. The N-glycans were complex biantennary structures present in either a mono- or disialylated state. The O-glycans were mostly (80%) represented by the monosialylated core type 1 structure, NeuNAcalpha2-3Galbeta1-3GalNAc, with smaller amounts of disialylated and non-sialylated O-glycans also detected. Removal of apo(a) O-glycans by sialidase and O-glycosidase treatment dramatically increased the sensitivity of the polypeptide to thermolysin digestion. These studies provide the first direct sequencing data for apo(a) glycans and indicate a novel function for apo(a) O-glycans that is potentially related to the atherogenicity of Lp(a).